Andrea Bean sits and cracks tile in to smaller, tiny pieces. She stops and looks up at the massive tile mural in front of her and hunts for the small gaps between the larger tile pieces that need to be filled. “It’s very tedious. It could never end and at some point you have to say ‘okay that’s enough,” she said. Austin's Food Truck Market Saturated? There’s no question that Austin’s food truck scene has grown over the past five years. Travis County had fewer than 700 mobile food vending permits in December 2006. Today, the official count is above 1,300. But a closer look at county data obtained by KUT News through an Open Records Request shows the number of mobile food vending permits has remained relatively stagnant since mid-2009. While that number doesn’t tell the whole story, it may raise questions over whether the city’s food truck market is approaching saturation. The county changed how it counts mobile food permits in September 2010 to include delinquent permits. Those are permits that have expired in the last six months. It makes comparing 2006 to 2011 difficult. 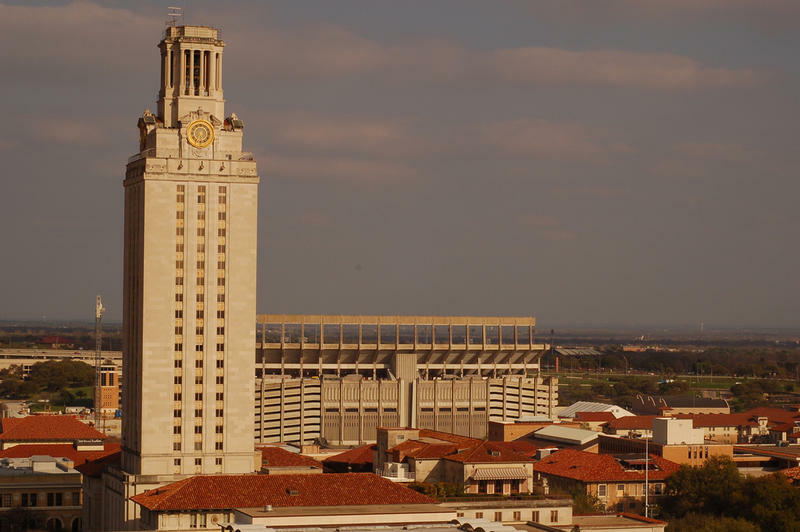 The University of Texas Tower will serve as a canvas for some innovative three-dimensional video art this week as part of a promotion being filmed for ESPN’s Longhorn Network. This isn’t 3-D video in the sense that you need glasses to observe it. Rather, the video is “mapped” to fit the dimensions of the building upon which it is being projected. 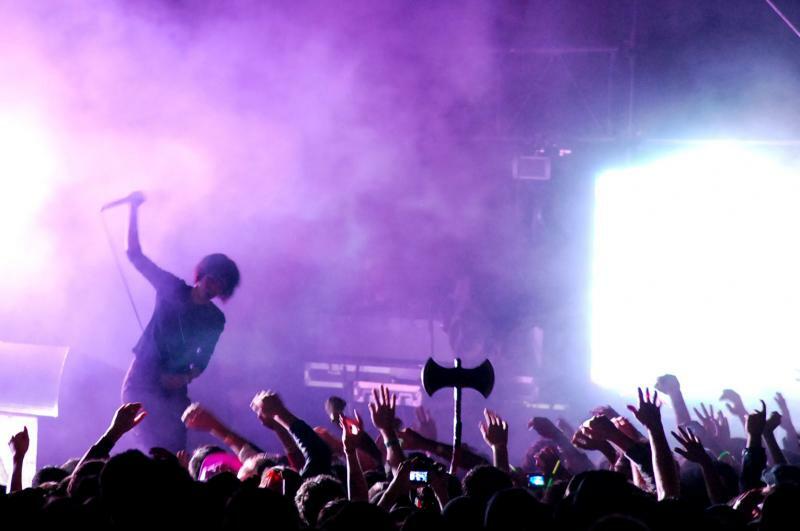 Fun Fun Fun Fest released its 2011 lineup today. Organizers expect to sell more than 15,000 tickets and have added an extra day to the festival. This year it will be held at Auditorium Shores because it outgrew its previous venue of Waterloo Park. Many African-American and Hispanic women interesting stories to tell, but don’t always have the platform to do it. As in many professions, minority women are underrepresented in film, theater, and television. Austin film producer Carla Jackson is trying to do something about that. She’s hosting a free producing and writing forum for minority women next Thursday at Austin Community College’s Eastview Campus. The workshop is called Women Doing it For Themselves, and it brings successful local women into the same room as their aspiring colleagues to share information and to help fresh talent get off the ground. We called Jackson to ask about it. Members of the Austin Film Festival community are mourning the loss of Oscar nominated production designer Polly Platt this week. She was 72. Platt was known for her writing, producing and set design among many other things in the film industry. Some of her most notable works include the art direction for Terms of Endearment, which she was nominated for an Academy Award in 1983. She also worked on the set designs for movies like "The Last Picture Show," and "Paper Moon" as well as producing the films "Say Anything" and "Bottle Rocket." You want to take in some of the artists in town for Austin City Limits Music Festival but don’t want to sweat it out in Zilker Park? 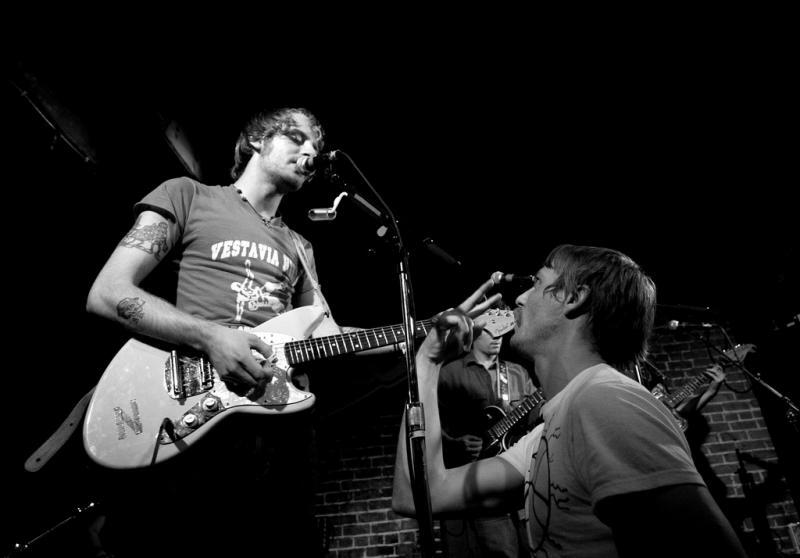 The ACL after shows let you watch musicians perform from the comfort of a downtown night club without the inflated drink prices. Here’s the list of official after shows, released this morning by ACL. Three-quarters of Texas is experiencing “exceptional drought”, the worst category used by the US Drought Monitor. The effect on farmers and ranchers has been profound. 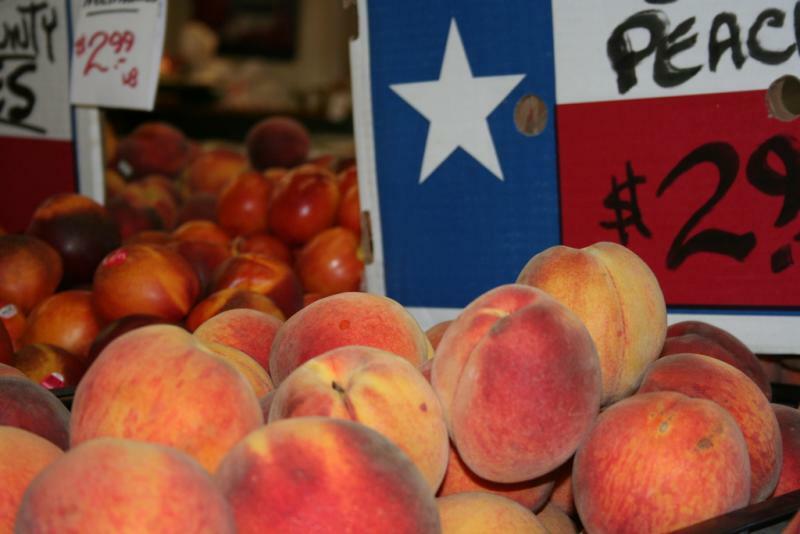 But a state program launching today aims to give city folk a way to help farmers and ranchers by enjoying the fruits – and meats – of their labor. The former Tower Records building on The Drag is undergoing a renovation to house three new eateries, and owners are preserving the building's artwork, which has become a landmark for University of Texas students and Austinites. Local artist Federico Archuleta created his first set of murals in 2003, at the intersection of 24th and Guadalupe. He used stencils and spray paint to portray iconic artists such as Willie Nelson, Bob Dylan and Johnny Cash. Austin's Mike Judge Revives "Beavis and Butthead"
Conservation work is underway on three of the dresses worn by Vivien Leigh in the movie, "Gone with the Wind." The work at UT's Harry Ransom Center comes after the institution raised $30,000 for the restoration. The mission of KUT News is to bring you news about the issues important to people living in Austin. But we also know that news just can't always compete with everyone's favorite bespectacled wizard. The last Harry Potter film opens at midnight tonight. KUT News brings you a roundup of reviews for "Harry Potter and the Deathly Hallows, Part 2. The Alamo Drafthouse’s poster company, MONDO, is partnering with the archiving arm of the Academy of Motion Picture Arts & Sciences. Jesse Eisenberg, an actor who recently portrayed Mark Zuckerberg in "The Social Network", served free pizza to Home Slice customers this afternoon. The promotion was intended to draw attention to his new movie, "30 Minutes or Less." Can you guess what the movie's about? 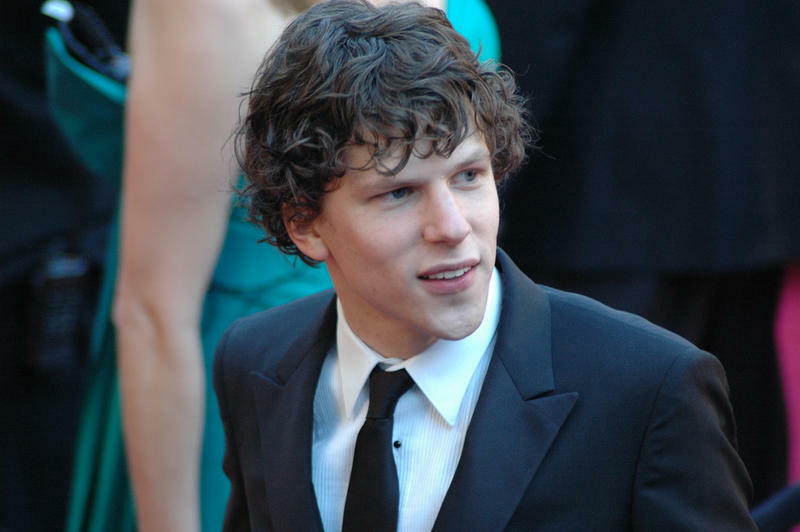 Eisenberg has been doing this in several other markets with his co-star Aziz Ansari, including at Goat Hill Pizza in San Francisco and Lincoln Road Pizza Rustica in Miami. Here is some of the response on Twitter and Facebook from Austin fans who lined up today to have a famous guy hand them their slice of cheese and pepperoni. 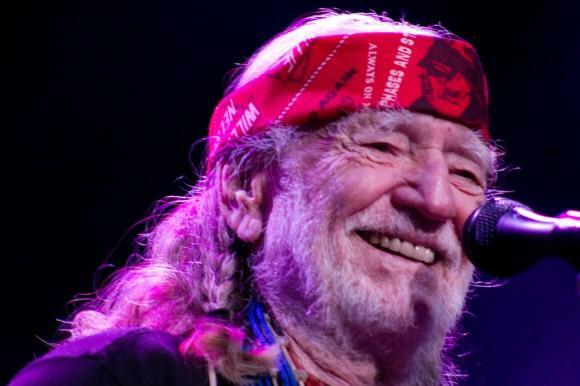 A West Texas judge says she will not accept a plea deal between the Hudspeth County prosecutor and Willie Nelson’s lawyers because she says it’s not harsh enough. The deal would have required Nelson to pay a $500 fine and $280 in court fees for possessing marijuana. Judge Becky Dean-Walker told the New York Times that county attorney Kit Bramblett let Nelson off easy because Bramblett is a huge fan. Correction: The original version of this article mistakenly placed the Violet Crown Cinema inside the W Hotel Building. It is, in fact, a block away at 434 W. 2nd St. We regret the error. Earlier: With the W Hotel closed indefinitely after glass from the high rise crashed to the ground below yesterday for the third time in just over two weeks, ACL Live is now having to cancel today’s edition of Wine Down Wednesdays. However, the future dates set in July are still on schedule. Meanwhile, other businesses in the Second Street District, such as the Violet Crown Cinema, a block away on Second Street, remain open for business. 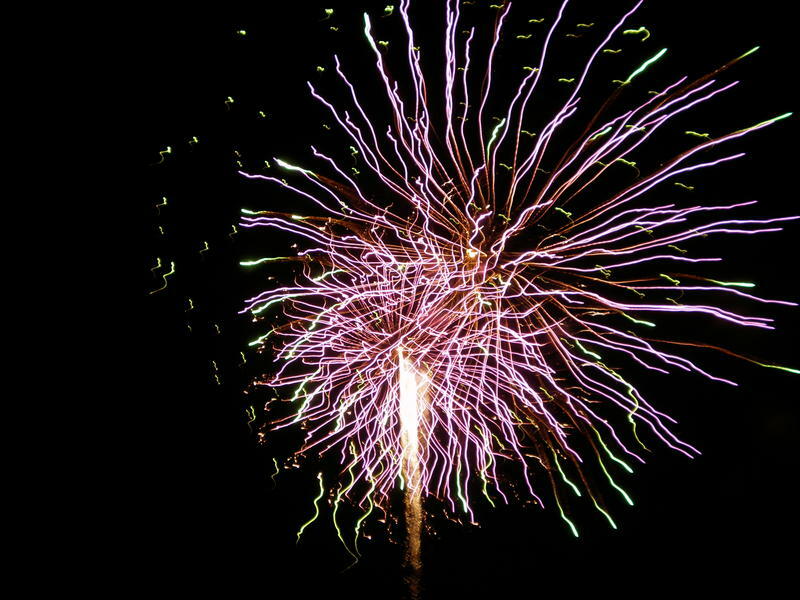 With cities and towns across Central Texas canceling Independence Day fireworks because of tinderbox conditions created by the drought, San Marcos has decided to call off its patriotic pyrotechnics show. But it's not because of fire concerns; it's a crowd control issue. San Marcos Fire Marshal Ken Bell feared too many people would show up to the show, creating a logistical nightmare. 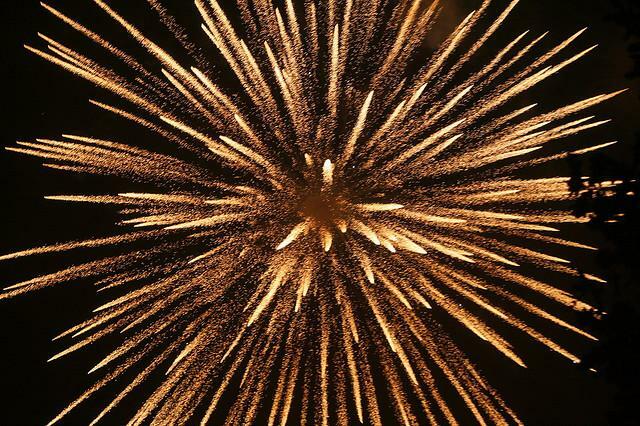 City officials in Kyle were expecting they would have no choice but to ban their Fourth of July fireworks display, thanks to the ongoing drought. But after talking about it with firefighters and the county, the show is moving ahead after all. Local entrepreneur Milton Verret bought the jacket worn by Michael Jackson in the iconic video for "Thriller" (above) at auction yesterday for $1.8 million, Reuters reports. Verret plans to put the black and red calf leather jacket on display at Dell Children’s Medical Center and then send it around the world for charity events. Last month we reported on a group of filmmakers creating a remake of Richard Linklater's 1991 cult classic Slacker. Now the trailer is out, and the movie is set to make its debut in August. 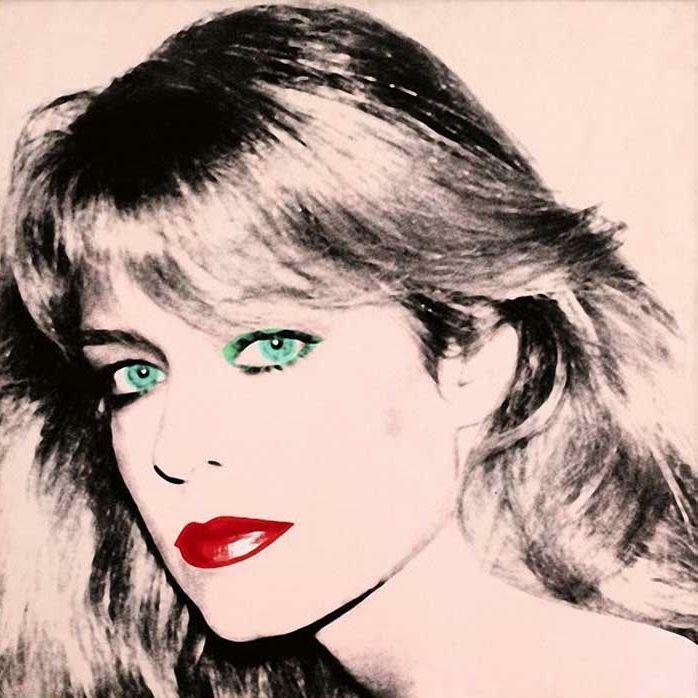 Has UT Finally Tracked Down Missing Farrah Fawcett Portrait? A portrait of Farrah Fawcett painted by Andy Warhol and valued at $30 million was spotted on actor Ryan O’Neal’s new reality show on Sunday, and now the University of Texas wants it. Fawcett bequeathed it to the university in her last will and testament. According to Star Magazine, a celebrity gossip publication, UT hired a private investigator to track down the 1979 portrait. The Blanton Museum said it had no comment on the missing portrait or any private investigation. However, a spokesperson said the museum already has one of the two originals, which is currently on display. When O’Neal’s show debuted on Oprah Winfrey’s OWN Network this Sunday, the artwork was spotted on the wall of Fawcett’s former partner. There are plenty of art studios in East Austin, but not all of them comply with city, state or federal building codes. 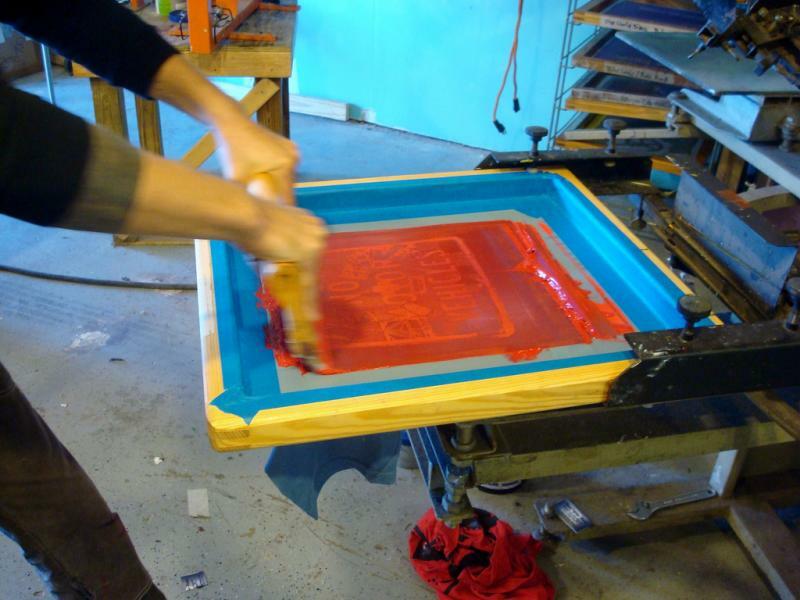 A local non-profit, the Austin Creative Alliance, says is launching a resource center and low-interest loan program to help artists on the East Austin Studio Tour (E.A.S.T.) bring their workspace up to code in time for the tour in November. The Texas Memorial Museum will be closed for about 4 months starting today. The air handling system needs to be repaired. 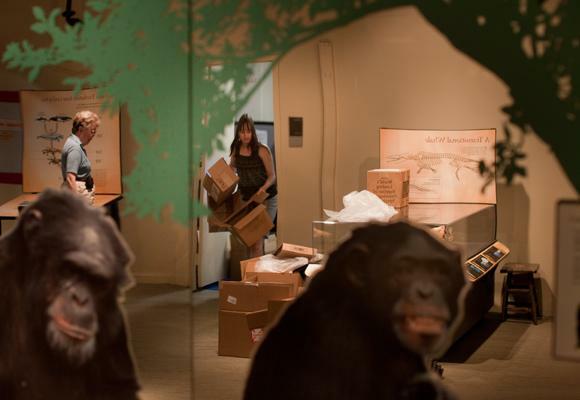 Margaret Fischer, the director of museum operations, told KUT that replacing the system was strongly recommended by the University of Texas’ facilities management staff to avoid unplanned closures in the future. During the maintenance, the air conditioning will be turned off on all but one floor where the employees will continue normal hours. They will move their offices to a higher floor to avoid the heat. Austin's Franklin Barbeque has been named the best BBQ in America by Bon Appetit Magazine. If you haven't been there, just look for the long lines in front of a small blue building on East 11th Street about a block east of I-35. We thought it might be fun to call pit masters at some of America's most famous barbecue joints and rub it in (pun intended). Turns out, most of them are pretty humble about their world famous 'que. A film that explores the global popularity of sushi and its devastating effect on the Bluefin tuna population won a special jury award at the Seattle International Film Festival. “Sushi: The Global Catch” premiered at the festival last week. Alamo Drafthouse founder Tim League was apparently shocked by how much attention he got from a "Don't Text During the Movie" PSA that used a voicemail from an ejected patron to make its point. 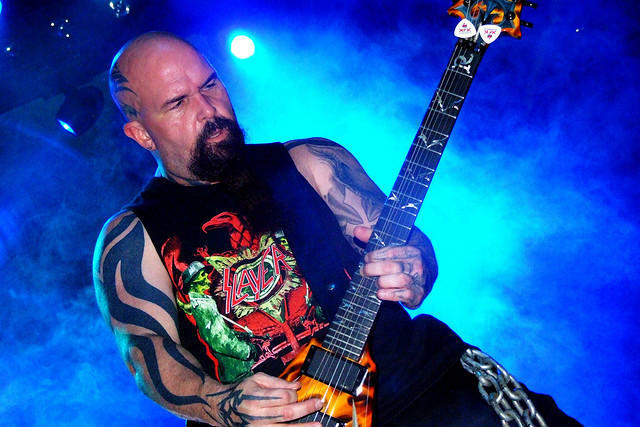 The video was quickly picked up by the national media after its release. CNN's Anderson Cooper joked that League deserves the Nobel Prize. The story was also posted to Yahoo! News and was mentioned by the ladies on The View. Someone even started selling "Magnited We Stand" t-shirts online, a reference to a mispronunciation of "United States of America" during the voice mail. Proceeds from the shirts will go to an "Austin-based education charity." League says he's pleased the video sparked national discussion about appropriate behavior in movie theaters, but he thinks some people crossed the line by attacking the person who left the voicemail. If you’ve ever watched a film at the Alamo Drafthouse, a local chain of food and booze-serving movie theaters, you have surely seen the large, loud, extended warnings before each screening telling people not to place calls, or text and Tweet during the film. Apparently, one patron missed the message, and wound up being ejected from the theater without a refund after receiving two warnings from staff. The angry customer called and left an explicative-laden voicemail protesting her eviction. The number of food trucks and trailers in Austin continues to expand rapidly. Now a new organization has popped up aiming to organize the hundreds of mobile food vendors in the city to confront issues ranging from permitting issues to what to do with used grease. The Food Trailer Alliance is largely organized by Tony Yamanaka, a marketing guy at Austin's Better Business Bureau. We called him up to find out more about his organization.